Heavy-duty MIDI connectivity. 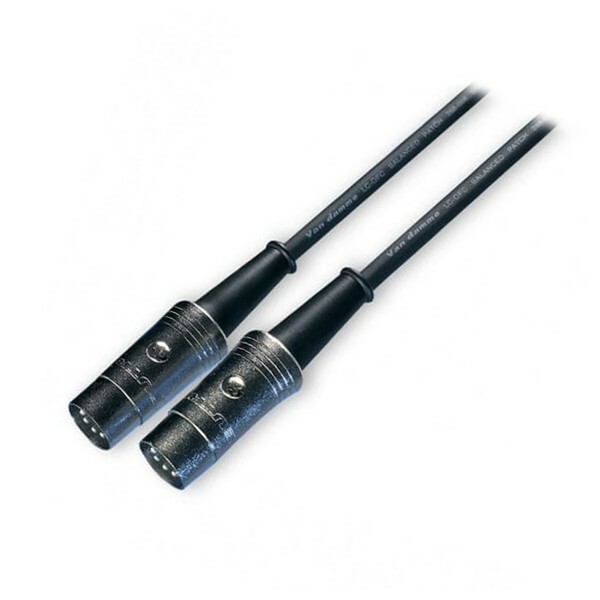 The Van Damme Pro Grade Classic XKE Pro-Patch MIDI Cable uses Van Damme's industry-leading cable in between two high-performance Rean 5-pin MIDI connectors. Using SP-OFC 4.85mm Pro Grade Classic XKE Pro-Patch cable, this MIDI lead gives you a compact overall diameter with exceptional flexibility and durability. Whether you're on stage or in the studio, Van Damme Cables give you performance you can trust. Every Van Damme cable is crafted with care in the United Kingdom using only the highest-quality materials. A combination of silver-plated and plain ultra-pure oxygen-free copper conductors ensure the best possible signal integrity, whilst tightly-packed cotton fillers ensure no static build-up in combination with even capacitance. Even with the cable's smaller diameter, the Classic XKE Pro-Patch MIDI Cable boasts exceptional mechanical strength and EMI/RFI rejection.